The holiday season is in full swing on Sanibel and Captiva islands so I have been a busy little elf! First of all, I’d like to introduce the brand new i Love Shelling 2012 Calendar chock full of beautiful Sanibel photos and of course our beloved seashells. Now you can enjoy shelling 12 months of the year! Here’s a sneak peak of January’s sunset photo and CLICK HERE to see all 12 months and get one for yourself or as a gift for your shelling buddy. We also hit the beaches this week to find a few shells and lots of Beach Bling. We found big old WHELK and CONCH pieces I love for yard shells along with a few SEA WHIPS, LONG SPINED SEA URCHINS, PURPLE SEA URCHINS, PEN SHELLS, CRAB SHELLS and this little BRITTLE STAR too. I even saw a few bones scattered along the beach. These are from bait in the crab traps in the gulf that get tossed around in rough surf. STONE CRABS are what lots of those traps are made to catch. When fishermen bring in the traps, they only take one claw from a STONE CRAB since the claws have the best meat. They throw the crab back without killing it because they know the crab can eat and defend itself with only one claw until another claw grows back. Here is a STONE CRAB claw lying on the beach that could have been a good appetizer if it had been freshly caught. Darn! I met a wonderful local man Frank, who moved here in 1964 and still loves to walk the beaches and pick up shells especially with his daughter Connie. He told me he was 87 but he looks like he is no older than 72! Thank you Frank for your service for our country in WW2. Here are some of the mini shells Frank and Connie collected when I saw them along Middle Gulf Drive. I also have photos of the yesterday’s oh-so-fun Captiva Holiday Village golf cart parade. Here’s one picture of our Junonia Jalopy but I’ll have to show you the rest tomorrow. It was a blast! All of the other cart were so darn cute! Check out my new tee shirt! I wore my new “Oh CONE All Ye Faithful” Christmas design v-neck tee. I got so many compliments- so much fun ! 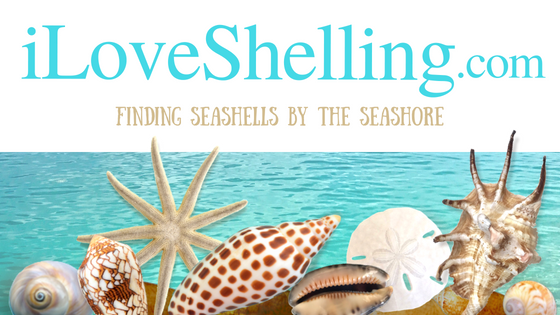 And don’t forget to check out the 2012 i Love Shelling Calendar too….. and the new online i Love Shelling Shop….. Or the fun faves at Shelling Shop. You see? I’ve been a little Santa’s helper for the good seashell loving girls and boys. Ho Ho Ho! Nice calendar. Beautiful pictures. Good idea. The photos in the calendar look BEAUTIFUL!!! WOW~ lots of great shells, big and small! The Junonia Jeep is always fun to see! I love all of my things from your online shop and my ornament, too! I know Santa will bring me the calendar, too!! Keep the pics coming for those of us suffering up in the rainy, cold Midwest! My gosh Pam, could you be any cuter?? My gosh Pam, could you be any cuter?? I may be ordering one of your calenders for Chablis… shhh, don’t tell her! Is there a way to connect both shopping sites (new one for calendar, etc. and old one for tank top) and check out once? I couldn’t figure it out. Thanks for the help. Katherine, yes, I know it’s a little confusing darn it. And I’m so sorry! … But here’s the scoop- the original aqua tee,tank, tote and caps are shipped by me. I have that inventory here in Sanibel. I wanted to do so many more items like the calendar, holiday tees, mugs, ornaments and all that but there was no way I could buy all of that inventory since I don’t have a physical retail store and it’s just me. So…the new merchandise (like the Sanibel Six stuff and the mugs, calendars and such) will be shipped from a dfferent location that can handle the inventory so it has to be ordered through them instead of me. I am thrilled with this because I feel like we all win ….except the two order forms…dang it! I hope you understand!!!!!! Absolutely gorgeous photos in the calendar Pam. You are a terrific photographer. Pam, I love, love, LOVE this! Can’t wait for it to arrive! Careful! If you hold the pygmy octos out of the water too long letting them crawl all over your hand, they bite with their uber sharp beaks! I have a scar on my left palm from one I was playing with one at Tigertail Beach (I was collecting shells & it crawled out of a fighting conch too!). I am very interested in horseshoe crabs I only found 2 a couple of years ago at Oak Island, NC. I want to know what time of year do horseshoe crabs molt and where is a good place to find them?